The concept of Chakras dates back in history, originating from ancient Indian texts. The belief is that the human body has a flow of energy (Ki) and there are seven main energy centers or 'wheels' throughout the body which allow for the smooth flow of energy. This in turn has a positive effect on the body; physically and emotionally. It is believed that if any of the Chakras become blocked or over/under function, the negative effect will then be felt physically and/or emotionally. There are various models of the concept of Chakras; for example, Tibetan Buddhism, Chinese Medicine, Hindu Sanskrit Scriptures. The practice of Yoga is predominantly based on the theory of Chakras and each posture is performed to work towards unblocking and balancing the Chakras. 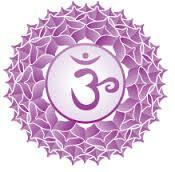 Reiki also works well with the Chakra system and will aid with the balancing of all Chakras, allowing for a smooth flow of energy throughout the body.